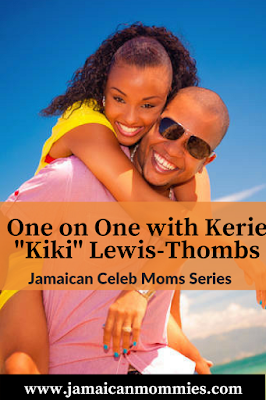 Here’s good news to clear the Monday Blues; I promised features on Jamaican celeb mommies and here’s the first installment. Meet Kerie- Ann ‘Kiki’ Thombs. Many of you may know her from the Rising Stars Chill room and as the previous host for TVJ’s Intense. On and off screen Kiki exudes radiating charm and poise. She is as beautiful as she is talented and many comment on her ‘vibesy’ nature and how ideal she is to be a contestant in the Miss Jamaica competition. What many of you may not know is that this woman dynamo also has an off screen job as a mother. I was touched to see her in the New Kingston Shopping Centre once with her little one running rings around her legs and it was too cute. We know she is very much in the limelight and as with all well known moms, child rearing may be quite a task. 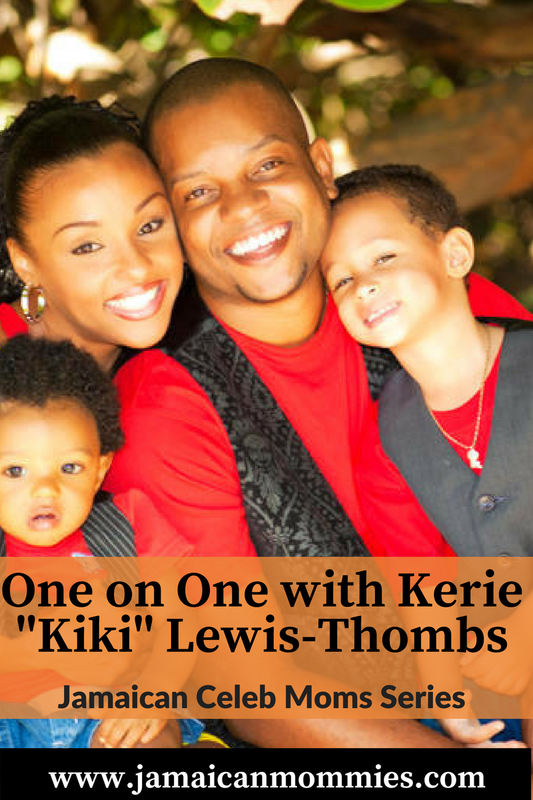 Did we also mention that she is truly a DIVA mom and we will be sure to get the one on one about how she keeps looking like such a hot momma.. so here goes..My one on one with Kiki.. Number of Kids: 2 and one on the way. 1. How do you manage being a celeb mom? Good support from family and friends and good children who know what I do and work with me if they have to come to work with me. 2. Are there ever clashes with work and family time? How do you handle this? Rarely though as the children come first, but it’s really about scheduling, if I get booked for a job before I know the date of a school performance for example then I will try to stop by the performance for a second and head to work and vice versa, discretion is key. 3. What are some of the techniques you use to ensure that you have enough time with the fam? Techniques? None you just stop what your doing and spend time with the family. 4. Favourite Family place/Activity? Going to the country, allows kids to be kids, they are free to roam and explore safely plus learn about their roots. 6. Fave thing about being a mom? Watching your child grow and loving them. 7. What are your major challenges as a mom? Being stern. 9. What parent/child related development would you most like to see in Jamaica? Before child/parent related activities are even developed, I would like to see parenting skills being offered in high schools, try to teach the children about responsibility and have more parenting courses out there so younger parents can learn a thing or two about how to be a good parent and more importantly how to handle the stresses of being a parent, both male and female. 10. What advice do you have for other moms? Find time for you and for your other half ensure that’s set and the rest usually falls into place. Involve and expose the children to various things in life, get them well rounded. God first, set your own rules and love them as much as you can. How truly warming Keeks. I’m totally with you on introduction of parenting skills from an early age and I’m sure other Jamaican mommies will find comfort in knowing that with work committments and everything in between, family comes first. wonderful article…I'm so proud of ma Jamaican ladies. Bless up kiki..Keep doing what you do Shan. Im so glad to see another mommy blog out there. I love this article. It shows that she's a down to earth mom that def. has her priorities in order. wonderful article. iam just a baby sitter, not yet a mom and form the outside looking in being a mom is not easy so thumbs up to all dedicated and determine moms. kiki i wise u all the best and shawna keep doing what u doing. Shan, Been trrying to leave a comment but it won't come up, not sure why, Anyway Ma, just saying that I love your page and I like the movement. You turning your dream into reality so nuff KUDOS for that. Gwaan live up, God first. Thanks for the support and the article 🙂 and thanks to your bloggers for commenting too. Never been on a mommy blog page, I like!!! Shan, Good Job, :-), I stopped by to check out your page and I like the movement. God speed to you and the fam and remember you part of the movers and shakers mama, you making your dreams reality. Gwaan live and thanks for the support and well wishes from your bloggers.